Maintenance range: Mitsubishi CNC Products: controllers, drivers, motors, IO board. Mitsubishi factory automation products: programmable controllers, HMI, inverters, servo and motion controllers. Prevention and exchange: ahead of a one-time replacement, exchange components may be hidden and extend machine life. technical reports: to analyze the reasons of product failure, to inference the external factors lead to the failure and to provide professional investigation report. Customers peace of mind: to provide extended warranty services according to customers' requirements. Our maintenance center is authorized by Mitsubishi.Response for domestic CNC products, we can offer free test, low-cost maintenance. Sincere service for our customers, and grow together with domestic customers.Make every effort to reduce customers’ maintenance costs, and ensure special, high-quality repair servers. 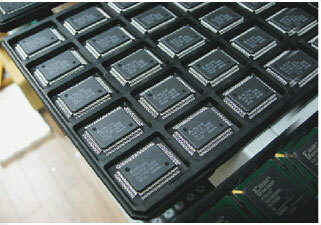 Our center offer all kinds of spare parts, three hours maintenance servers. If any maintenance longer than 24 hours, we provide alternative parts in order to ensure customers’ machine operation .we has many experienced and skilled engnieer, and our agent in the Yangzi River Delta, Shanghai / Wuxi / Taizhou offer free test, quick judgment.